Grab the apps you need to control your player, manage your music and update your systems. Use Linn’s latest control app to select and play music on your Linn DS/DSM. Linn Kazoo is available for iPad, iPhone, Android, Windows and Mac. *Searching your stored music collection requires Kazoo to be used in conjunction with Kazoo Server, MinimServer, or Twonky media servers. 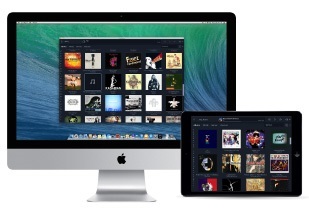 Kazoo Server allows easy access to your music collection, iTunes library and other music services via your controller. Use Kazoo Server in conjunction with Kazoo to the get the best browsing experience, and access to functions such as search. Kazoo Server replaces Linn’s Songbox and offers all the same functionality, plus scanning of local media independently of iTunes. Works with any Linn DS control app. Available for Windows and Mac operating systems and QNAP NAS devices (Intel x86 versions). Send any audio from your computer to your Linn system and get better sound from your music services and from web pages. 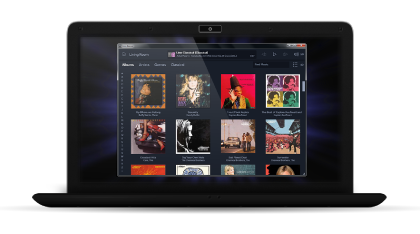 Available for Windows 7 and Mac OS X..
Kinsky offers an alternative way to browse your music and control your Linn system and is available for iPhone/Android devices. Use Kinsky to control your system on your iPhone/Android device, save playlists and use the BBC and iTunes plug-ins. Manage any Linn DS players on your network. Konfig provides access to advanced configuration settings and allows you to update your DS software. A selection of compatible or recommended apps for controlling your Linn DS player, ripping CDs and managing your music collection.